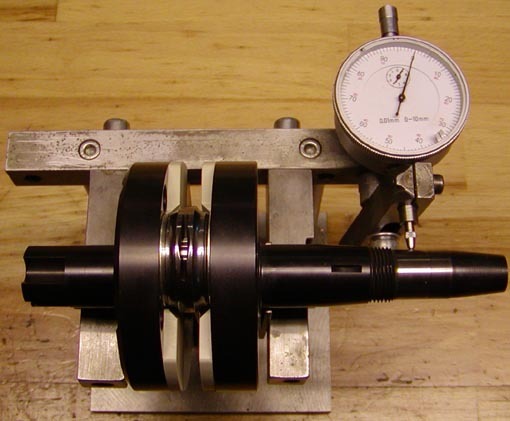 Make the crankshaft strait: The crankshaft is good then the gauge move les than 0.01 mm, you can do this with or without the inner ring from the main bearing is on the crankshaft. 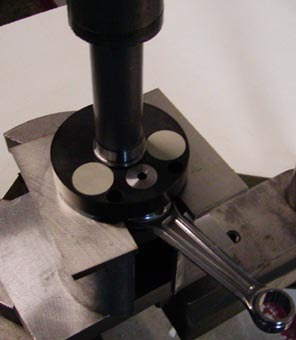 Then you mounting the inner ring to the main bearing, places the crankshaft on a tube, and use the 2 hardened steel plate be twin the crankshaft, and use a steel tube there is 26 mm. inside and 30 mm. outside, to press the inner ring down over the axle.